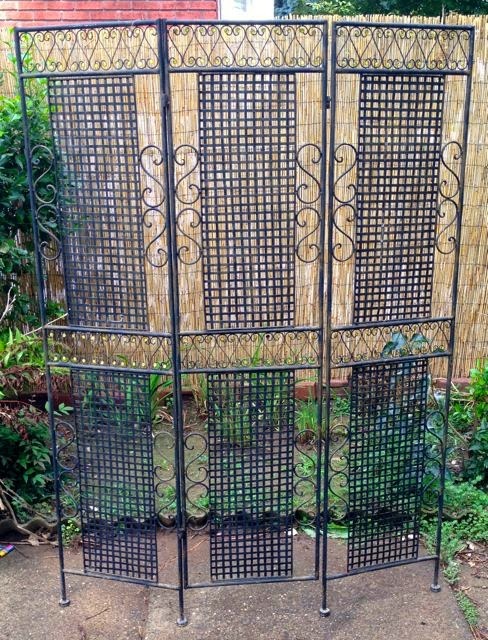 When we bought our house a few years ago, I found an iron three-panel partition left in the shed by the former owners. It was covered in dirt and dried vines and a few rusty spots. 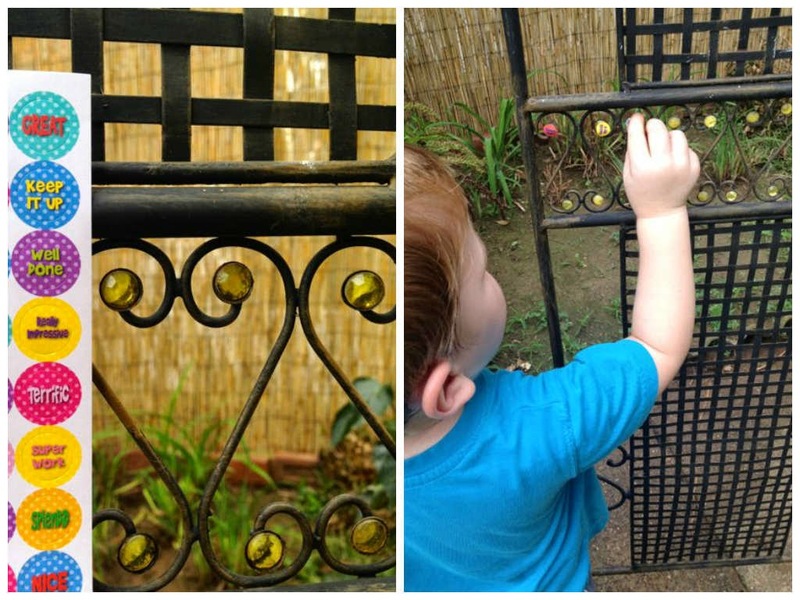 Clearly, it had spent a few years in the garden serving as a trellis. Thankfully, for the most part, it held up well to life outside. I knew what I wanted to do with it the minute I saw it. Cute, right? I knew all it needed was a serious scrub down, and a fresh coat of paint. 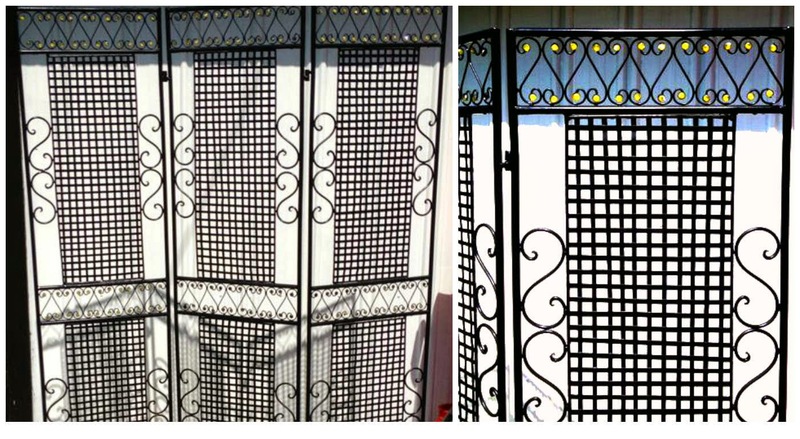 The only obstacle was the yellow gem-like details. I had to figure out how to paint the panels, but not the gems. My friends, the light bulb went off, and genius came through; Teacher Stickers! I called for help with this tedious fun job. Once the stickers were in place, I sprayed the hell out of the screen. Two coats later, I called for my assistant to remove the stickers from the middle while I did the top the top ones. I couldn't believe how well it turned out! And that my teacher sticker idea worked! 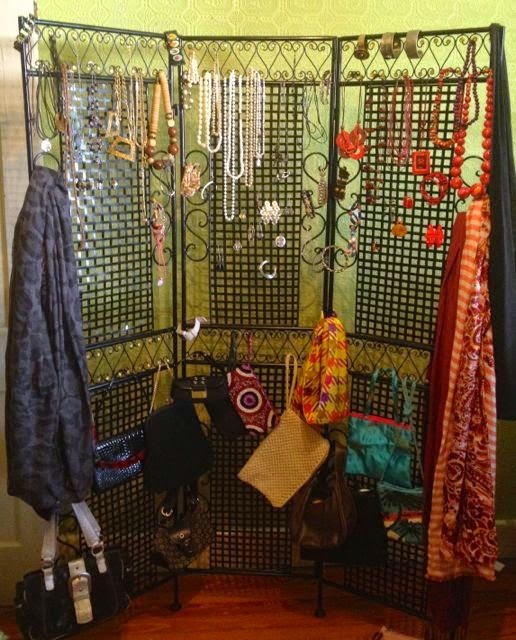 I took the partition up to my office where I draped it in jewelry, scarves, and small handbags, organized by color. I was so pleased with the finished product, so so so boutique chic and barely takes up space when pushed in the corner against the wall. While I didn't mount it to the wall, it could be done to anchor it, or even hang on the wall to save floor space. 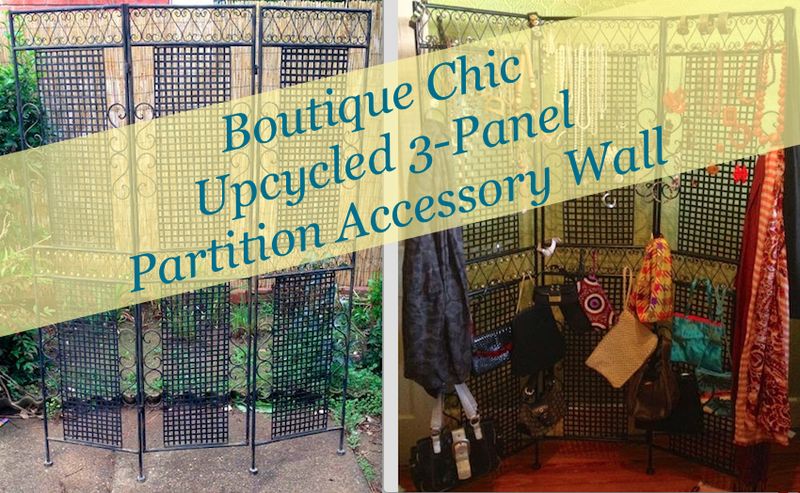 TIP: If this inspires you, next weekend scavenge yard sales for partitions. I see them all of the time in ever shape, color, material and size. If nowhere to hang things, buy a bag of small S-hooks or 3M Command clear hooks with adhesive.